Posted April 3rd, 2019 by pristine & filed under House Cleaning Services. Now that you’ve found a new home, get yourself ready to face another battle– cleaning. Going through all your stuff, figuring out what to keep and what to throw out is only the tip of the iceberg. 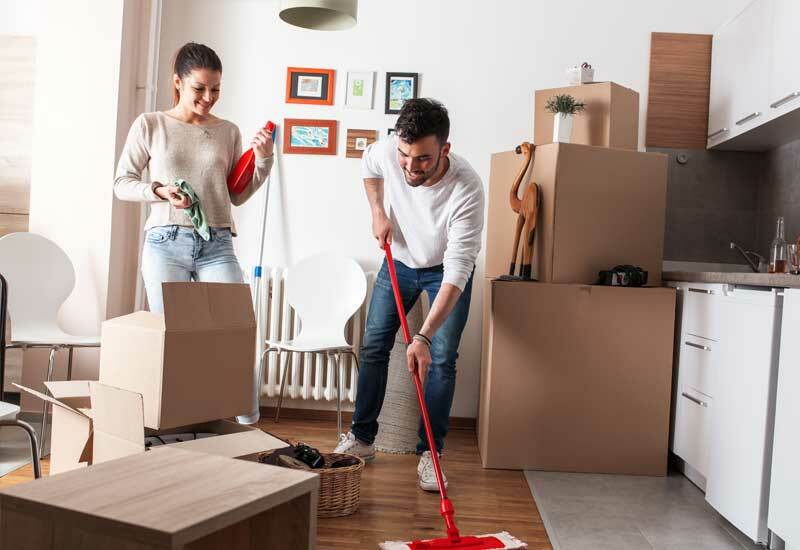 If you’re a renter, you are required to leave your space clean and free from damages to avoid getting charged any extra. The property will need wiping, dusting and disinfecting to make it presentable to potential renters. Are you feeling tired just thinking about the amount of housework you need to complete before vacating your current premises? Don’t worry, there’s always the option of getting someone to do this task for you. For now, you need to get yourself ready for move-out with this cleaning checklist. These tools are necessary to get you started with cleaning. Cleaning isn’t free, and if you’ve chosen to do it yourself then you’ll need both a combination of time and money to ensure you meet the strict requirements of your landlord. If you’ve chosen pay for a cleaning service instead, you don’t need to worry about purchasing these tools at all. Cleaning services come with complete tools and high-quality equipment necessary to finish cleaning tasks in a jiffy. Inspect light fixtures and know which needs replacement. If renting, let your landlord know which bulb needs fixing, or if there are any loose electrical wirings at risk. If needed, replace busted light bulbs and lighting fixtures. 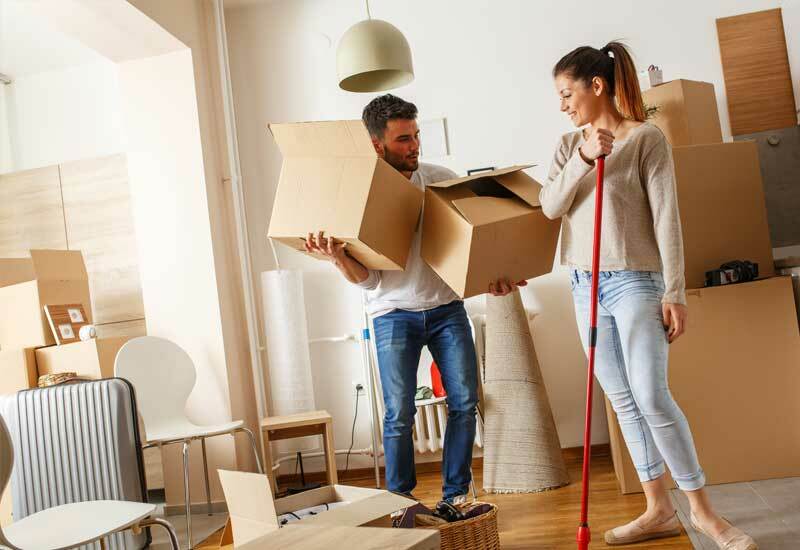 Make sure that when you leave, wirings are safe for the next people to move-in. Cobwebs may build up from the highest areas of the house down to the corners of each room. First dust off the ceiling, to the highest shelves and countertops, down until the floor. Dusting off all areas, and vacuum every nook and cranny, leaving everything spotless. Remove hardware from the walls like nails, screws, hooks and other hangings. Inspect the whole walls for dents, marks, cracks, and holes and patch them up with putty. Paint the walls back in its color. High-quality glass cleaners work the best in glass surfaces like the windows. Get your windows looking clean as new again. Don’t forget the window sills, blinds, and curtains along with it. Get ready with your broom and dustpan to clear out all the dust from the ceilings, windows, and other surfaces and the soot from the fireplace. Vacuum the carpets and wash off any stains. For tiled, vinyl and hardwood floors, use a wet mop after sweeping off the dust particles. Gather and pile all dirt from cleaning in a large garbage bag. Empty all wastebaskets placed around the house. Make sure to take all the garbage outside before you finally leave your old house. Remember to start at the highly used areas of the house. These four rooms are most commonly used areas that will need quick but thorough cleaning before anyone uses it. Never use the bathroom without disinfecting it first! Scrub the tiles, the faucets, showers and other fixtures with bleach cleaners to remove grime, soap and water stains. Disinfect the toilet bowl and toilet seat with necessary cleaners and wipe off the toilet holders. Clean the mirrors and sink and scrub off all dirt from the floor. The kitchen should be safe for food preparation that’s why it should be cleaned before you start cooking your meals. Scrub the sink and faucets and sanitize the countertops. Make sure to empty and clean the cabinets and drawers before putting in your stuff there. Clean and sanitize all existing appliances like the fridge, stove, dishwasher, and microwave oven. Bedroom windows should be dusted off, washed and wiped. Empty the dressers, closets, and wardrobes and wipe them clean before putting your stuff in. Clean off vents and air conditioners before use and polish furniture to make it look good as new. Keep in mind that beddings should be the cleanest furniture in the bedroom– you never would want to sleep in a bed full of dust and bed bugs! Change furniture as needed, or ask help from a cleaning expert to know how to get rid of bugs and other insects inside the bedroom. The life of the house must be well-maintained and free of dust. The Living room is the area where all of the people and guests gather to bond. A good sofa must be dusted off and well-cleaned. Professional cleaners use state-of-the-art equipment to clean furniture inside the house in the quickest way possible. Best if you could hire an expert to do this simple task for you. Moving Out of Home With Ease! Cleaning your rental in one day will be tiresome after move in, albeit highly necessary. The time and energy you will consume from cleaning will wear you off through the day. You could just imagine all the struggle of unboxing and fixing your stuff while cleaning every bit of dirt you can find! To some who don’t have the time (and energy) for all that, it will be wiser to hire cleaning experts to help out. At Pristine Home, we’ve got expert end of lease cleaning packages fit for your moving out and moving in needs. With our professional cleaners taking care of all the cleaning for you, you’ll be enjoying your new home in no time.